Question #4: What do I Say? Question #5: Do I Repeat the Whole Thing? The Anshei Keneses Hagedolah, called in English The Men of the Great Assembly, were 120 great leaders of the Jewish people at the beginning of the Second Beis Hamikdash period and included such luminaries as Ezra, Mordechai, Daniel, and the last of the prophets, Chaggai, Zecharya and Malachi. To help us fulfill our daily obligation of praying, they authored the “amidah,” our main prayer. Since this prayer consisted, originally, of eighteen blessings we call it the “Shemoneh Esrei,” a name which we also use when referring to the prayers of Shabbos, Yom Tov, and Rosh Chodesh Musaf, even though those tefillos are always only seven brachos (with the exception of Musaf of Rosh Hashanah, which is nine.) A nineteenth brocha, that begins with the word Velamalshinim (or, in the Edot Hamizrah version, Velaminim), was added later when the main Torah center was located in Yavneh after the destruction of the Beis Hamikdash, about 400 years after the original Shemoneh Esrei had been written (Brachos 28b). Tefillah includes both standardized and individualized prayers. This article will discuss both types of prayer. People often ask why our prayers are so highly structured, rather than having each individual create his own prayer. This question is raised already by the early commentators, and there are a variety of excellent answers. One of the answers is that it is far more meaningful to pray using a text that was written by prophets and great Torah scholars. The Anshei Keneses Hagedolah, who authored the Shemoneh Esrei, included among its membership some of the greatest spiritual leaders of all history and also the last prophets of the Jewish people. 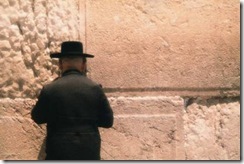 An additional reason is that many, if not most, individuals have difficulty in structuring prayer properly, and therefore the Shemoneh Esrei facilitates the individual’s fulfilling the Torah’s mitzvah of prayer by providing him with a beautifully structured prayer (Rambam, Hilchos Tefillah 1:4). Furthermore, our prayers are structured because of concern that when someone creates his own prayer he may request something that is harmful to a different individual or community, something that we do not want in our prayer (Kuzari 3:19). For example, someone might request that he receive a particular employment opportunity, but that prayer is harmful to another person. The Shemoneh Esrei is written in a way that it protects and beseeches on behalf of the entire Jewish community. We thereby link ourselves to the Jewish past, present and future each time we pray. In addition, the halachos and etiquette of prayer require that one not supplicate without first praising Hashem, and that the prayer conclude with acknowledgement and thanks. When Moshe Rabbeinu begged Hashem to allow him to enter the Chosen Land, he introduced his entreaty with praise of Hashem. From this we derive that all prayer must be introduced with praise. We also learn that, after one makes his requests, he should close his prayer with thanks to Hashem. All these aspects of prayer are incorporated into the Shemoneh Esrei and may be forgotten by someone composing his own prayer. There are several places in the organized prayer where one may include personal entreaties, such as during the brocha that begins with the words Shema koleinu (Rambam, Hilchos Tefillah 1:9). In addition to these different places in the Shemoneh Esrei, after one has completed Hamevarech es amo Yisroel bashalom, which is basically the end of Shemoneh Esrei, is an ideal place to add one’s own personal prayer requests. The Gemara (Brachos 16b-17a) lists many tefillos that different tanna’im and amoraim added in this place on a regular basis. Several of these prayers have been incorporated into different places in our davening – for example, the yehi ratzon prayer recited by Ashkenazim as the beginning of Rosh Chodesh bensching was originally the prayer that the amora Rav recited at the conclusion of his daily prayer. Two of the prayers quoted in the Gemara Brachos form the basis of the prayer that begins with the words Elokai, netzor leshoni meira, “My G-d, protect my tongue from evil,” which has now become a standard part of our daily prayer. This prayer, customarily recited after Hamevarech es amo Yisrael bashalom and before taking three steps back to end the prayer, was not introduced by the Anshei Keneses Hagedolah, and, indeed, is not even halachically required. This prayer contains voluntary, personal entreaties that became standard practice. One is free to add to them, delete them, or recite other supplications instead. The questions quoted as the introduction to our article relate to the laws that apply to the end of our daily prayer, the Shemoneh Esrei. Chazal established rules governing when we are permitted to interrupt different parts of our davening and for what purposes. Thus, there is discussion in the Mishnah and the Gemara concerning what comprises a legitimate reason to interrupt while reciting the blessings that surround the Shema or during Hallel. However, the status and laws germane to interrupting the supplications one recites at the end of the Shemoneh Esrei are not mentioned explicitly in the Mishnah or the Gemara. Rather, there is ample discussion germane to this issue among the rishonim and the later authorities. This article will provide background information that explains which rules are applied here, when they are applied and why. The Gemara (Brachos 4b and 9b) teaches that the Shemoneh Esrei must be introduced by quoting the following verse, Hashem, sefasei tiftach ufi yagid tehilasecha, “G-d, open my lips so that my mouth can recite Your praise” (Tehillim 51:17). The Shemoneh Esrei should be concluded with the verse Yi’he’yu leratzon imfrei fi vehegyon libi lifanecha, Hashem tzuri vego’ali, “The words of my mouth and the thoughts of my heart should be acceptable before You, G-d, Who is my Rock and my Redeemer” (Tehillim 19:15). These two verses are considered an extension of the Shemoneh Esrei (tefillah arichta), a status that affects several halachos, some of which we will soon see. Before or after Yi’he’yu Leratzon? The first question we need to discuss is whether personal supplications recited after the completion of the Shemoneh Esrei should be included before one recites Yi’he’yu Leratzon or afterwards. When the Gemara rules that one should recite Yi’he’yu Leratzon after completing the Shemoneh Esrei, does this mean that one should recite this sentence before one recites personal requests? This matter is debated by the rishonim. The Raavad prohibits uttering anything between the closing of the brocha, Hamevarech es amo Yisroel bashalom, and the recital of the verse Yi’he’yu Leratzon. In his opinion, reciting any supplication or praise at this point is a violation of the Gemara’s ruling, which implies that one must recite Yi’he’yu Leratzon immediately after completing the 19 brachos of the Shemoneh Esrei. This approach is quoted and accepted by the Rashba (Brachos 17a). On the other hand, Rabbeinu Yonah (page 20a of the Rif, Brachos) notes that even in the middle of the Shemoneh Esrei one may insert personal supplications – therefore, inserting personal requests before Yi’he’yu Leratzon is also not a hefsek, an unacceptable interruption. Yet a third opinion, that of the Vilna Gaon, is that it is preferable to recite supplications before reciting Yi’he’yu Leratzon. The later authorities discuss the following issue: According to the conclusion of Rabbeinu Yonah, who permits reciting personal supplications before one has recited Yi’he’yu Leratzon, may one also answer the responses to Kedushah, Kaddish, and Borchu before one has said this verse? The Rama (Orach Chayim 122:1) rules that since one may insert personal requests before Yi’he’yu Leratzon, one may also answer Kedushah or Kaddish. Many disagree with the Rama concerning this point, contending that although inserting a prayer prior to reciting Yi’he’yu Leratzon does not constitute a hefsek, one may not insert praise at this point (Divrei Chamudos, Brachos 1:54; Pri Chodosh, Orach Chayim 122:1). Their position is that one may insert entreaties at many places in the Shemoneh Esrei, but adding anything else that is unauthorized, even praise, constitutes a hefsek. It is for this reason that someone in the middle of the Shemoneh Esrei may not answer Kedushah or the other important congregational responses. Thus far, I have mentioned three approaches regarding what one may recite after having completed Hamevarech es amo Yisrael bashalom, but before one has said Yi’he’yu Leratzon. (1) One may not insert anything (Raavad and Rashba). (3) The Rama permits even answering Kedushah or Kaddish before saying Yi’he’yu Leratzon. This is the approach that the Mishnah Berurah (122:2) considers to be the primary one and it is also the way the Kitzur Shulchan Aruch (18:15) rules. The Rama mentions that some communities had the custom of not reciting Yi’he’yu Leratzon until after they completed saying Elokai Netzor and whatever other personal supplications the individual chose to recite. Notwithstanding this custom, many authorities suggest reciting Yi’he’yu Leratzon immediately after completing the words Hamevarech es amo Yisrael bashalom, since this procedure allows someone to answer Kedushah according to all opinions and avoids any halachic controversy (Divrei Chamudos; Magen Avraham). However, according to the opinion of the Gra, mentioned above, this is not the preferable way to add one’s personal supplications to the tefillah. Most Ashkenazic authorities conclude that one who has not yet recited Yi’he’yu Leratzon may answer the first two responses of Kedushah, that is, Kodosh. kodosh, kodosh and Baruch kevod Hashem mimkomo. Sefardic authorities, who follow the ruling of the Rashba and the Shulchan Aruch, prohibit responding before saying Yi’he’yu Leratzon. Notwithstanding that most Ashkenazic authorities conclude that one may answer the first two responses of Kedushah before one has said Yi’he’yu Leratzon, they still prefer that one recite Yi’he’yu Leratzon immediately after closing the brocha Hamevarech es amo Yisrael bashalom. Nevertheless, this last issue is still disputed, since the Gra rules that one should delay reciting Yi’he’yu Leratzon until one finishes one’s supplications. In other words, whatever one chooses to do, he will be right with the Jews.